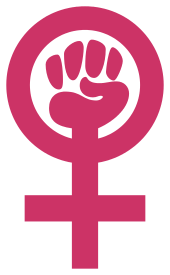 Equity feminism (also stylized equity-feminism) is a form of liberal feminism discussed since the 1980s, specifically a kind of classical liberal feminism and libertarian feminism. The Stanford Encyclopedia of Philosophy refers to Wendy McElroy, Joan Kennedy Taylor, Cathy Young, Rita Simon, Katie Roiphe, Diana Furchtgott-Roth, Christine Stolba and Christina Hoff Sommers as equity feminists. Steven Pinker, an evolutionary psychologist, identifies himself as an equity feminist, which he defines as "a moral doctrine about equal treatment that makes no commitments regarding open empirical issues in psychology or biology". Barry Kuhle asserts that equity feminism is compatible with evolutionary psychology, in contrast to gender feminism. Distinctions have been made between conservative and radical forms of equity feminism. Many young conservative women have accepted equity feminism. There are differences between this and equality feminism or social feminism or difference feminism. Anne-Marie Kinahan claims that most American women look to a kind of feminism whose main goal is equity; Louis Schubert et al. claim "principles of equity feminism remain in the vision of the vast majority of women in the United States". ↑ Black, Naomi (1989). Social Feminism. Cornell University Press. ↑ Pinker, Steven (2002). The Blank Slate: The Modern Denial of Human Nature. Viking. p. 341. ↑ Kuhle, Barry X. (2011). "Evolutionary psychology is compatible with equity feminism". Evolutionary Psychology (journal). Archived from the original on 16 January 2012. ↑ Kramarae, Cheris; Spender, Dale, eds. (16 April 2004). "Equality". Routledge International Encyclopedia of Women: Global Women's Issues and Knowledge. Routledge. p. 672. There are two dominant strains within the equality debate: "equity feminism" and "difference feminism". ↑ Kinahan, Anne-Marie (3 August 2004). "One: Foundations: Women Who Run from the Wolves: Feminist Critique As Post-Feminism". In Prince, Althea; Silva-Wayne, Susan. Feminisms and Womanisms: A Women's Studies Reader. p. 120. Most American women subscribe philosophically to that older "First Wave" kind of feminism whose main goal is equity .. A First Wave, "mainstream," or "equity" feminist wants for women what she wants for everyone .. equity feminism has turned out to be a great American success story. ↑ Schubert, Louis; Dye, Thomas R.; Zeigler, Harmon (2014). "13: Civil Rights: Diversifying the Elite: Women's Rights in the United States". The Irony of Democracy: An Uncommon Introduction to American Politics (17th ed.). p. 331. The principles of equity feminism remain in the vision of the vast majority of women in the United States.